The community of Lincoln Green Estates/Place has a family park that features picnic tables, swings, slides and play structures. It is located on McKamy Drive at the end of Tomlinson Trail Drive and is owned and maintained by Harris County Municipal Utility District #33. The Board members are elected by the membership at the annual meeting. The terms held is determined by the position. The Annual meeting is held in July of each year. If a director is unable to complete their full term, the Board will appoint someone to fill that seat until that term expires. The Board of Directors elects the officers after the annual meeting. The term of all officers is two and three years. A description of each position is available on the Become a Volunteer page. The Board of Directors meets on the 2nd Tuesday of every other month. Meetings are held at Doss Park 2500 Frick Road Houston, TX 77038. The meeting agenda is posted at least 72 hours prior to the meeting. The Harris County Sheriff’s Office has a Graffiti Abatement Removal program, which when you fill out the waiver it gives them permission to remove the graffiti. If you have graffiti on your house they will use a gray indoor/outdoor latex paint which is supplied free of charge. They will ONLY paint the area where the graffiti is. They WILL NOT paint your house. If you paint it the gray color you will then be in violations of the Associations Covenants. We recommend you purchase the paint to match the color of your house. They will paint the area the color you provide. Keep in mind if your house color is faded it is recommended you paint the whole house to elevate the two tone color. If you have graffiti on your fence they can paint it with the same gray paint or pressure wash. If you paint it you will again be in violation of the Association Covenants and it is recommended you pressure wash it. You must fill out the waiver. Please contact the Harris County Sheriff’s Office at 713-759-9454 or Fax 713-759-9726 Graffiti Abatement Waiver, 9111 Eastex Fwy., #300 Houston, TX 77093 for the form. CenterPoint Energy maintains streetlights throughout Lincoln Green Estates. 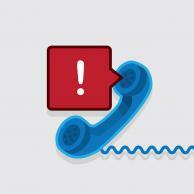 If a light is out or blinking, please call CenterPoint at 713-207-2222 or report it online. Since electricity deregulation has occurred in Texas, consumers may choose from a number of companies for electricity. To learn about electric competition in Texas and shop for electricity providers, visit the official Electric Choice Website of the Public Utility Commission of Texas. Water service is controlled by the Harris County Municipal Utility District #33 that contracts JePa Services, Inc.
JePa Services Inc. is a full service water utility operations company that provides contract operations and maintenance of water and wastewater facilities. They can be reached by phone at 281-377-9100 or by fax 281-377-9112. 8 am – 5 pm Tuesdays - Fridays. 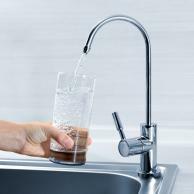 To pay your water bill online click here. 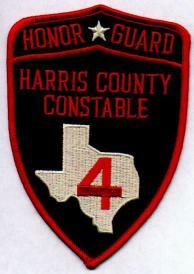 Trash service is provided by the Harris County Municipal Utility District #33. 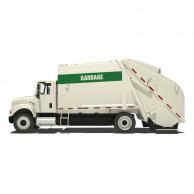 J&S Trash Services collects the trash every Tuesday and Friday except holidays. For questions, contact J&S at 713-635-2500. Please have waste ready for collection no later than 7 a.m. ITEMS NOT ACCEPTED: dirt, rocks, bricks, concrete, tires, batteries, motor oil, cooking oil, waste generated by a private contractor, hazardous/toxic chemicals or material, construction material, no more than 1 room of carpeting, bundled and less than 40 pounds. Items not collected will be tagged explaining non-collection. Yard waste, heavy trash, and recycle bins must be placed at the curb for collection. J&S observes six holidays: New Year’s Day, Memorial Day, Independence Day, Labor Day, Thanksgiving Day, and Christmas Day. Collection will not occur on these days. In the event that a collection day falls on a holiday for residents receiving TWICE-weekly service, collection will roll to the next SCHEDULED collection day. If you have any information regarding gang/criminal activity or would like to educate yourself on the current gang threats and efforts law enforcement is taking against them, please visit the link below. 6/29 Maple Bough - Welfare check requested/Day Lily - false alarm. For non-emergencies please contact the constable or sheriff’s department at the numbers listed below. 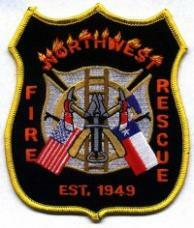 Northwest Volunteer Fire Department is always looking for volunteers. To fill out the online application, click here.